Among the many forgotten giants of English football, Nottingham Forest's star shines the brightest. Even though they have been out of the Premier League for the entire 21st century, Forest were a force to be reckoned with during their heyday in the 70s. During their long and interesting history, they have won one League title, two FA Cups and four League Cups. In addition to their domestic trophies, Forest are one of only two British clubs to claim back-to-back European Cups. Nottingham Forest FA Cup Final team from 1898. 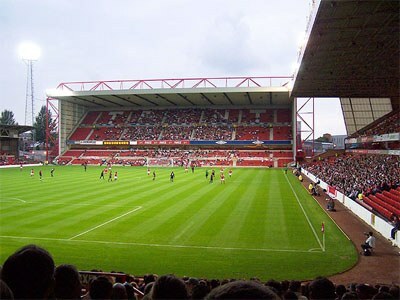 With a foundation date of 1865, Nottingham Forest are one of the oldest football clubs in the world. 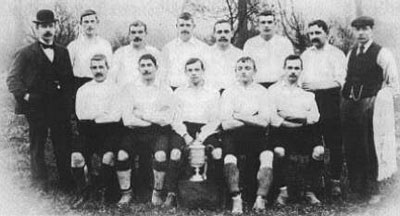 The participated in the FA Cup for the first time in the 1879-1880 season, almost ten years before the English Football League was inaugurated. At first, Forest were a multi-sports club, with bandy (the club was actually initially named Nottingham Forest Football and Bandy Club) and baseball sections being a large part of the club's identity. Yet, it was the football section that had the most success; in 1892, they won the Football Alliance league before being admitted to the Football League. Their first major honor came in 1898, with a win over Derby County in the FA Cup final. With only a single FA Cup trophy in 1959 during the next seven decades, Forest were not seen as particularly threatening. This would all change with Brian Clough taking over the managerial role in 1975. Together with his assistant Peter Taylor, Clough would transform Forest into a competitive club with a penchant for attractive football. Even more impressively, it seemed like Forest became a contender overnight; after winning promotion to the First Division in 1977, they won a Double the following year by claiming a League title and defeating Liverpool in the League Cup final. After retaining the League Cup in 1979, Forest one-upped it by going all the way in the European Cup, outlasting Malmö FF 1-0 in the final. History repeated itself the very next season, with Forest once again reaching the final, where they defeated Hamburger SV 1-0 on the back of a tremendous performance by goalkeeper Peter Shilton. Clough led the club to two more League Cup trophies in 1989 and 1990 before deciding to retire in 1993, thus bringing an end to Forest's glory days. In 1999, the club was relegated to the Championship. The logo of Nottingham Forest is characterized by the stylized tree, referring to the second name, and the wavy lines, representing the river Trent. Sometimes two adjacent stars can be seen together with the crest, marking the two European Cup titles.